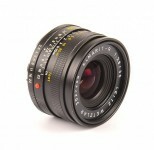 One of four first lenses for Leicaflex (Standard). Initially had silver finish and the total number of copies was only 200. 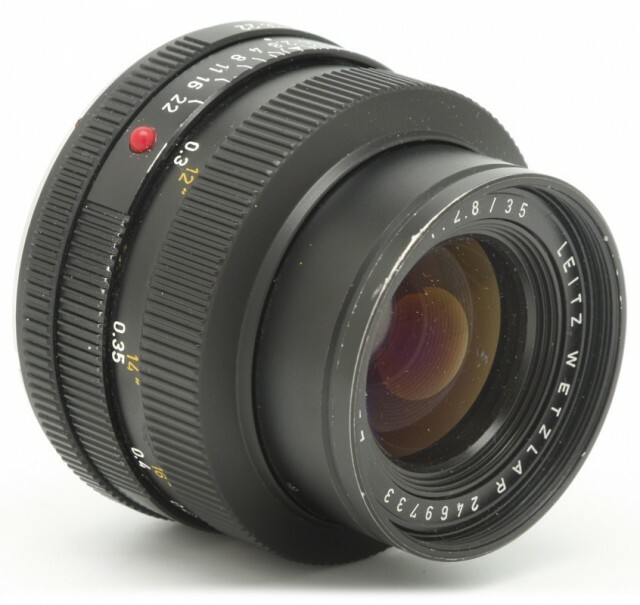 The subsequent variations of the lens had black finish. 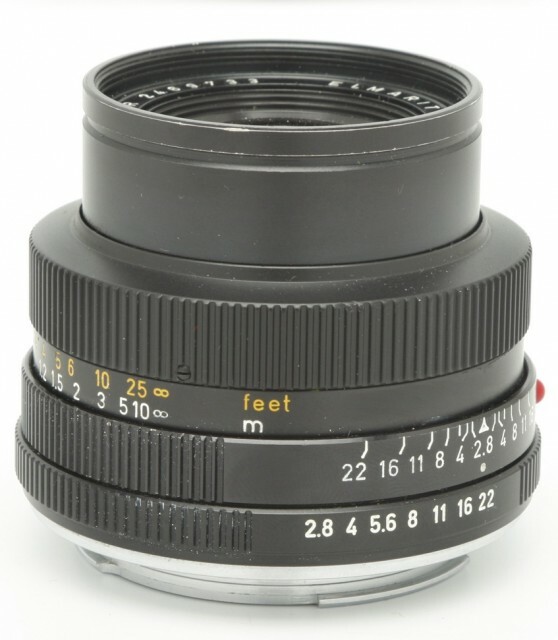 The front element rotates during focusing. In 1974 the optical design was recalculated, had 7 elements in 6 groups and the front element did not rotate during focusing anymore. The lens is available in 1-cam, 2-cam and 3-cam variations. 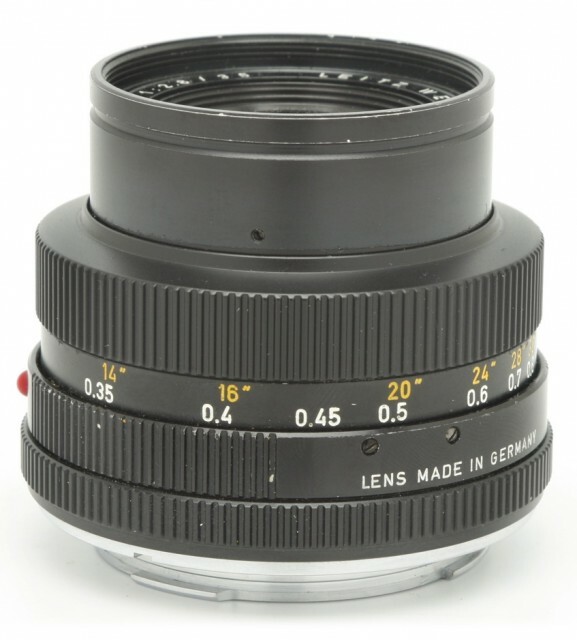 Version of the lens for Leica R cameras was produced since 1976.